Nestled between the ancient bogs of the North,and the wild woodlands to the west, there is somewhere special hidden deep in the Killadulisk river valley. In the heart of this mystical landscape is the Canvas to Candle studio, where our crafty candles are created. Here resides an artist, a candle-maker and a creator of beautiful scents encompassing art with a rich story beneath. 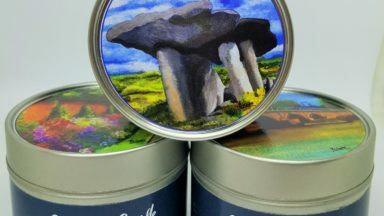 With offerings ranging from unscented art souvenir candles, fragrant soy travel tins, beautiful glass jars of soy wax candles infused with a unique blend of perfume – each product has a story behind the scent. 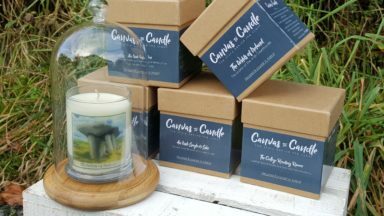 Catering for wedding unity candles and bespoke wedding favours; these gifts really bring something special, Irish and unique to the table. 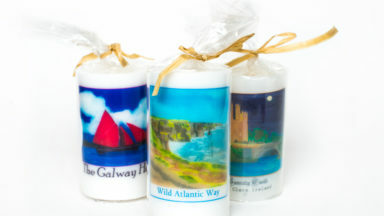 Inspired by Irish Castles and landmarks, famous poets and playwrights, these faces and places are part of my art candle range. Each image is 100% original; with artwork, designed, painted and produced in our studio. 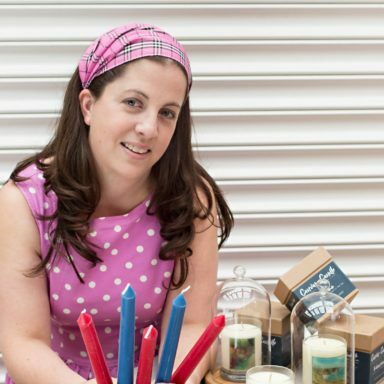 All candles are hand made in small batches to ensure only the best quality. I hope you enjoy the sensory experience of my carefully created crafts.